In the vein of the great stream-of-consciousness narrators, such as the unparalleled Hunter S. Thompson, Brian Wallace paints vivid, frank backdrops for his transmission. With fluid prose, Wallace guides the reader through the mind of his protagonist, thought-by-thought, as he grapples with the spectre of organized religion and its deleterious effect on contemporary culture. Speaking bluntly throughout, the author demonstrates no fear in calling out clashing ideologies for the resultant Labyrinth of Chaos they have weaved over the course of recorded time. 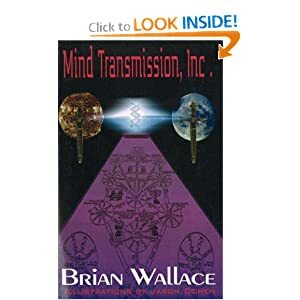 Mind Transmission, Inc. refuses to cater to the conservative, traditional, closed-minded sect of our society, and instead offers philosophies and theories from paths less-trodden–for those seeking to make sense (and some happiness) out of the grey, everyday existence to which most have become numb and resigned.